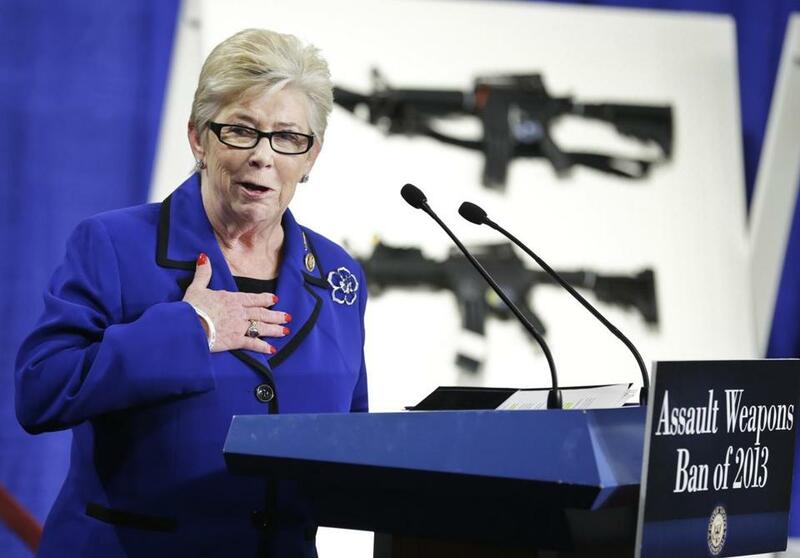 Representative Carolyn McCarthy, whose husband was shot to death, said she senses changes in the issue’s political tone. As Congress debates whether to toughen the nation’s gun laws, a study from Boston Children’s Hospital found that states with the highest number of gun laws have the lowest rates of gun deaths due to homicides and suicides. The research, published online Wednesday in the journal JAMA Internal Medicine, analyzed gun laws in all 50 states as well as the total number of gun-related deaths in each state from 2007 through 2010. It found that fatality rates ranged from a high of 17.9 per 100,000 people in Louisiana — a state among those with the fewest gun laws — to a low of 2.9 per 100,000 in Hawaii, which ranks sixth for its number of gun restrictions. Massachusetts, which the researchers said has the most gun restrictions, had a gun fatality rate of 3.4 per 100,000. Previous research evaluating the association between firearm laws and a reduction in gun-related injuries and fatalities have yielded mixed results, but most have focused on one or two specific laws rather than the total amount of restrictions in a state. A Georgetown University study found that mandating background checks for gun purchases, for example, was linked to reduced suicide rates in those over age 55 but did not reduce murder rates or suicide rates in younger people. The new study found that states with the most laws had a 37 percent lower rate of suicides by firearm and a 40 percent lower rate of homicides compared with states with the fewest laws. But the researchers did not measure whether death rates dropped in states after they enacted new legislation because such data do not exist, according to Fleegler. Instead, they assigned each state a score based on its total number of gun purchasing and ownership requirements during the years studied. Massachusetts had the highest score of 22.5 points for its gun regulations, including background checks, child safety trigger locks, a ban on military-style assault weapons, and not allowing guns in public places. Louisiana and Alaska, with scores of 1, ranked first and second for death rates. The study drew praise from Massachusetts gun-control advocates, who said the results buttress what they have been saying for years. Linsky’s bill would require gun owners to purchase liability insurance, better access to mental health records,and a 25 percent sales tax on guns and ammunition to be funneled to mental-health services, and it would close a loophole that allows ownership of military-style assault weapons manufactured before 1994, when the state banned such guns. Governor Deval Patrick also has filed gun-control legislation. His bill, which includes some of the provisions in Linsky’s legislation, would also limit gun purchases to one firearm a month and create four new categories of firearms crimes. The governor also seeks to improve electronic monitoring of private gun sales by requiring that they occur at the business of a licensed dealer. However, legislators who might be looking for new research to help guide them in determining which laws work best will not get much help from this study because the researchers could not determine which regulations were likely to have the most impact. Gun owner advocates can point to the study’s limitations as a reason to disregard its findings. “I think it’s incorrect to draw any real conclusions from this study,” said Jim Wallace, executive director of the Northborough-based Gun Owners’ Action League. The tough gun laws in Massachusetts do not appear to have made much difference in reducing deaths and injuries from guns. Murders committed with firearms, gun-related assaults and robberies, and gunshot injuries have all risen since the state passed a comprehensive package of gun laws in 1998, according to FBI and state data. In the 1990s, the federal Centers for Disease Control and Prevention conducted a more limited study that compared firearms laws and gun violence in fewer than 10 states, Rosenthal said. That analysis also showed a correlation between more gun laws and less violence, he added. “Until we revitalize firearm violence research,” he wrote, “studies using available data will often be the best we have. They are not good enough.” He cautioned that the type of study published yesterday is “inherently weak” and that a correlation between more laws and fewer deaths does not show cause and effect.